Sony Pictures has threatened to sue Twitter if it does not ban the accounts of users sharing information gleaned from the massive cyber-attack which targeted the company’s computer systems late last month. The warning was relayed in a letter sent by Sony lawyer David Boies to VIjaya Gadde, Twitter's general counsel. The threat specifically singled out the Twitter account of Val Broeksmit, a musician with 19,000 followers who has tweeted extensively about the Sony leaks from the account @bikinrobotarmy. “As Twitter is aware, someone using the Twitter account name: @bikinirobotarmy (the ‘Account Holder’) is in possession of, and is using this Twitter account to publish SPE’s (Sony Pictures Entertainment’s) stolen documents and information (the ‘Stolen Information’), pursuant to the perpetrators’ scheme,”a copy of the letter obtained by the Wall Street Journal reads. “We are writing to confirm, as we believe Twitter is already well aware, that SPE does not consent to Twitter’s or any Twitter account holder’s possession, review, copying, dissemination, publication, uploading, downloading, or making any use of the Stolen Information, and to request your cooperation in suspending the Account Holder’s Twitter account and the account of any other user seeking to disseminate the Stolen Information via Twitter,” the document continues. Sony further asked Twitter to pass the legal threat on to Broeksmit. Broeksmit told Motherboard he had previously been contacted by a Sony representative via direct message on Twitter. The representative asked him to remove the offending tweets so that they company would not have to complain to Twitter directly and “risk them taking action against your account." A Twitter spokesperson told Motherboard that while it did not allow users to post the private information of other people directly in tweets, linking to such information is allowed. In at least three separate tweets, however, Broeksmit directly posted photographs containing the hacked information. At the time of writing, his account is still accessible. Sony has yet to comment on the warning. 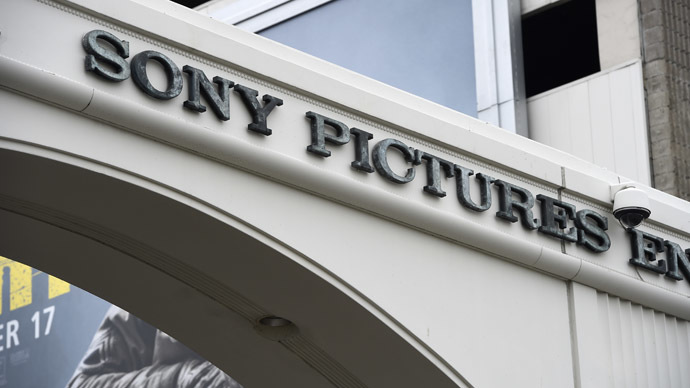 A massive November cyber offensive was launched against Sony Pictures Entertainment, and last week dumped five of the studio’s upcoming movies and knocked out the company’s entire computer network. After receiving a bundle of the leaked docs from the anonymous hackers in an email, Fusion’s Kevin Roose published a roster of the company’s 17 top earners on Monday. The hack has been linked to a previously unknown group calling itself the Guardians of Peace, though American officials believe North Korea is “centrally involved” in the cyber-attack, which was allegedly sparked by a Sony Pictures comedy entitled ‘The Interview’. The film’s plot centers on an US assassination plot against North Korean leader Kim Jong-un. Sony decided to cancel the film’s planed December 25 release. On Monday, North Korea completely lost internet access for 9.5 hours after US President Obama promised to “respond proportionally” to the Sony online breach. Washington has not commented on whether or not it played a role in the internet blackout.